Grammy Award winner and pop icon Maureen McGovern's moving musical memoir chronicles the hope-filled years of the 1960s, through the dark years of Vietnam, Watergate, and the Civil Rights Movement, the AIDS crisis, and on to today and the hope of a better tomorrow. Best known for her breakout hit, the Academy Award-winning "The Morning After," McGovern returns to her roots as a folk singer as she performs the classic songs The New York Times has dubbed "the second half of the Great American Songbook," including Bob Dylan's "The Times They Are a-Changin,'" Carole King's "You've Got a Friend," The Beatles' "Let it Be," Joni Mitchell's "All I Want," Paul Simon's "America," Laura Nyro's "And When I Die," and many more. 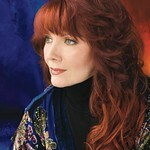 Maureen McGovern doesn’t need to take gingko biloba to boost her memory, she has a much better remedy: the songs. Maureen McGovern is a dame's dame: funny, wry, and fearless. In A Long and Winding Road, she blends music and memories as she chronicles her growth as a performer and a person. Maureen grew up listening to some of the greatest jazz, folk and pop singers of the 20th century – singers who would heavily influence and inspire her own career. The issues raised in the 1950s and '60s brought forth some of America's most influential and memorable political leaders. Learn more about the people who shaped the nation. From The Boston Hearald, October 8, 2009: "After 37 years on the American music scene, Maureen McGovern’s seen it all..."
Maureen McGovern appeared as herself in A Long and Winding Road (2009) at the Huntington. 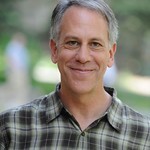 Philip Himberg previously directed the Huntington's production of A Long and Winding Road (2009). He is the producing artistic director of Sundance Institute Theatre Program where he has created and overseen the developmental theatre laboratories since 1997. Jeffrey Harris previously music directed A Long and Winding Road (2009) at the Huntington. He is equally at home as a pianist, composer, arranger, conductor, and lyricist. He has worked with such diverse performers as Maureen McGovern, Chaka Khan, Barbara Cook, Jack Jones, Audra McDonald, and Cleo Laine. Charles Schoonmaker previously designed costumes for Venus in Fur (2014), God of Carnage (2012), and A Long and Winding Road (2009) at the Huntington. His New York productions include Limonade tous les Jours (The Cell Theatre), 9/11 Portraits (Union Square Theatre), and Portrait of Jennie (Henry Street Settlement). David Lander previously lighting designed Ether Dome (2014), Before I Leave You (2011), and Carry It On (formerly titled A Long and Winding Road) (2009) at the Huntington. His Broadway credits include Master Class with Tyne Daly, Bengal Tiger at the Baghdad Zoo with Robin Williams (Drama Desk Award; Tony and Outer Critics Award nominations). Maya Ciarrochi did lighting design for All My Sons (2010) and A Long and Winding Road (2009) at the Huntington.